Our Comfort Keepers are professional and well trained. Each Comfort Keeper completes training to deliver a special type of care that includes four interrelated aspects: engagement of the mind, an active body, proper nutrition, and safety. 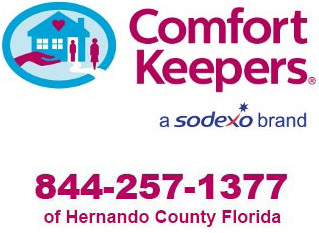 Our Comfort Keepers enrich the lives of seniors and other adults as they help them live safely, happily and independently in the comfort of his or her own home. That's why the best care starts with finding the right people for the job. In addition to extensive background checks and continuing education classes, they're also bonded, insured and covered by Workers' Compensation insurance to protect our clients and their families. And because our in-home caregivers are Comfort Keepers employees, we take care of their payroll taxes. To ensure the consistency of your schedule, we have a systematic approach to track when a Comfort Keeper arrives and leaves a client's home. Comfort Keepers routinely collaborates with skilled agencies, senior facilities, rehab facilities and many other health care providers to implement a customized plan of care. Allowing each discipline to focus on its area of expertise creates a more efficient process and positive outcome for the client. It is important that family caregivers make time to care for themselves and preserve other relationships and aspects of their lives. If you or someone you know is the primary family caregiver for a loved one, Comfort Keepers can provide much-needed respite care. 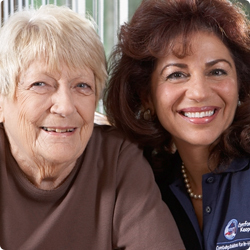 You can trust Comfort Keepers to provide the type of care that brings peace-of-mind to you and your loved one.